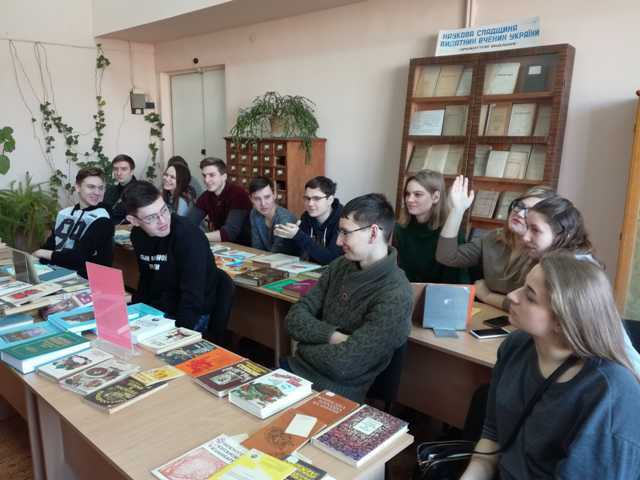 On February 14, first year students (14 people) of the chemical faculty (specialty "Food Technologies") were invited to the department of rare books. A non-standard lecture on the topic "Cuisine of the World" was given to them. In the first part of the lecture the deputy director told about rare and contemporary editions concerning the topic of the lesson. 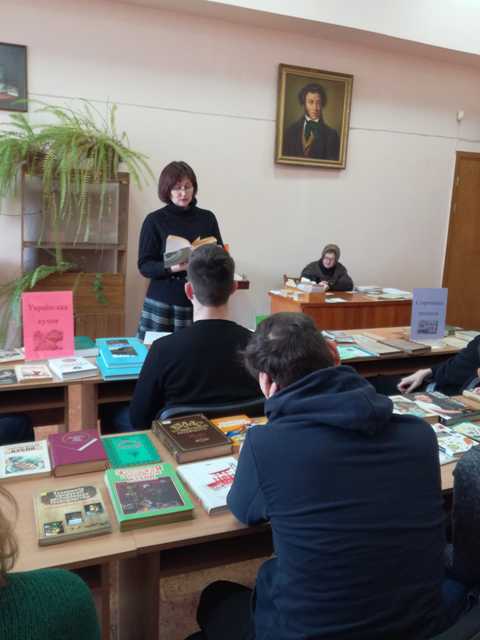 In particular, she showed the textbooks which were used by the students of Katerinoslav Real College. A unique copy of «Chemical technology" series (1871) and materials of winemakers' congress (1902) were presented. 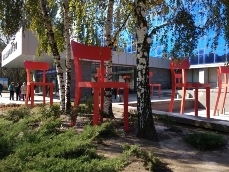 The second part of the event was devoted to the review of scientific and popular scientific literature of national cuisines of Ukraine and China. 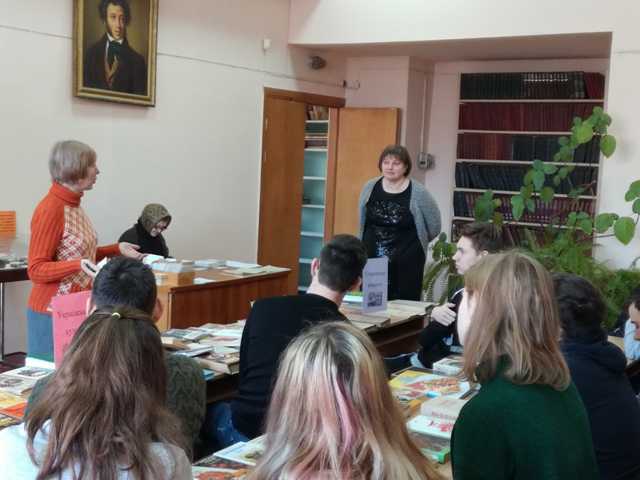 The head of science literature department presented books with interesting content and design containing ancient and unusual recipes as well as reprinted editions of ancient books and new literature on cooking which the library has recently received. The next part, "Culinary Skills from Famous Writers", was presented by the head of Fiction Department. 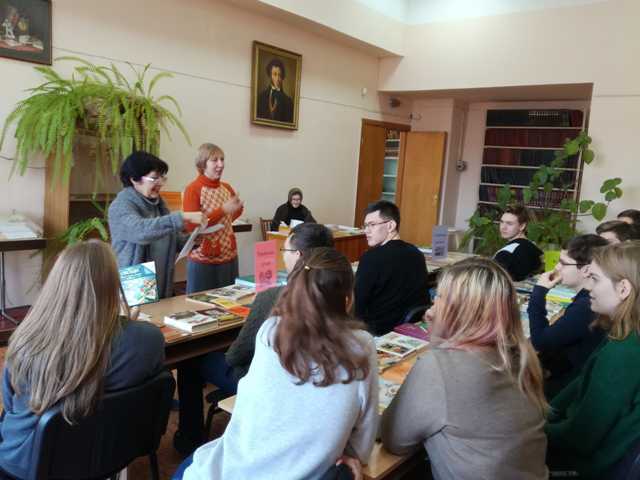 She invited young listeners to enjoy the taste of the Ukrainian word and recipes from the books of Ivan Kotlyarevsky, Maria Matios, Sofia Andrukhovych, Yuri Vinnychuk and famous authors of world bestsellers - Marcel Proust, Haruki Murakami, Rex Staut and many others. At the end of the lecture, students were asked to answer the questions of a culinary quiz. This caused a lot of interest and activity among the boys and girls who received small presents for correct answers - books with recipes. All participants enjoyed communicating and got a lot of useful information.